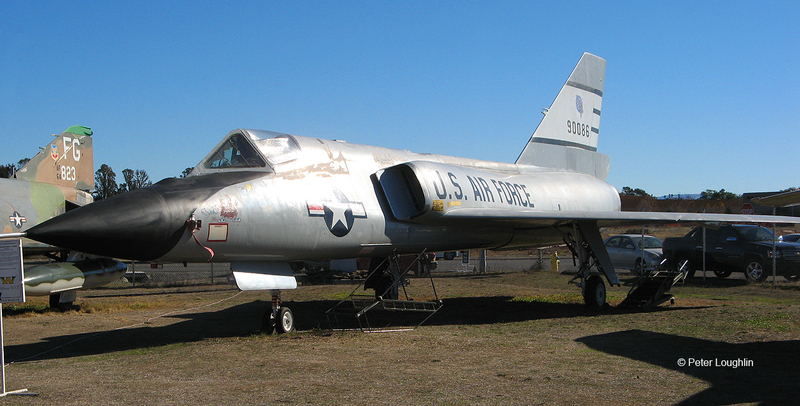 The F-106 Delta Dart was the fastest single-engined jet ever. 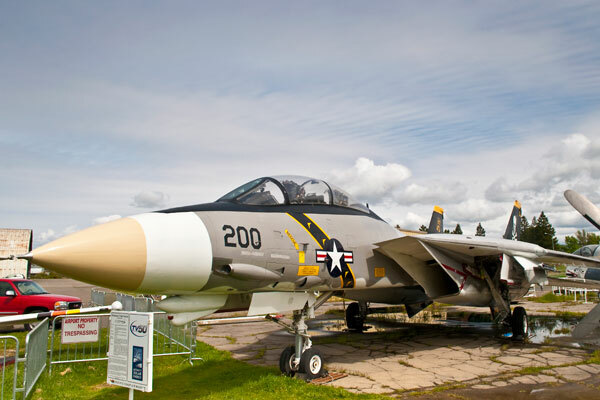 It was a Cold War interceptor, designed to defend the U.S. homeland from enemy bombers by climbing extremely high and extremely fast and knocking them down with nuclear air-to-air missiles. The F-106 was armed with one Douglas AIR-2A Genie or AIR-2B Super Genie rocket, and four Hughes AIM-4F or AIM-4G Super Falcon air-to-air missiles carried in internal weapons bay. The F-106 possessed an advanced (for its time) infrared (IR) seeker that was a key part of its missile targeting system. This photo shows it deployed, looking like a blue chrome globe just in front of the windscreen. 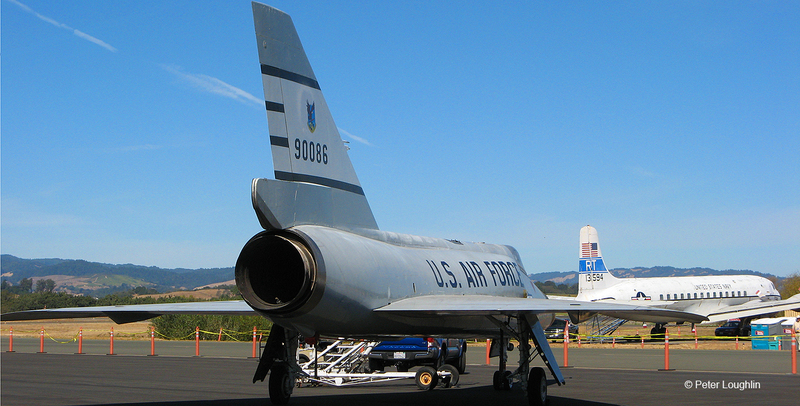 This F-106 Delta Dart was trucked to PCAM on a flatbed trailer, as most of our aircraft are. It was in pieces and in pretty bad shape, with faded and chipped paint and missing components. Today it's a real showpiece, with restored cockpit and a fine paint job. Nice Ride: The team did an outstanding job of cleaning up and painting the aircraft to restore its past glory. 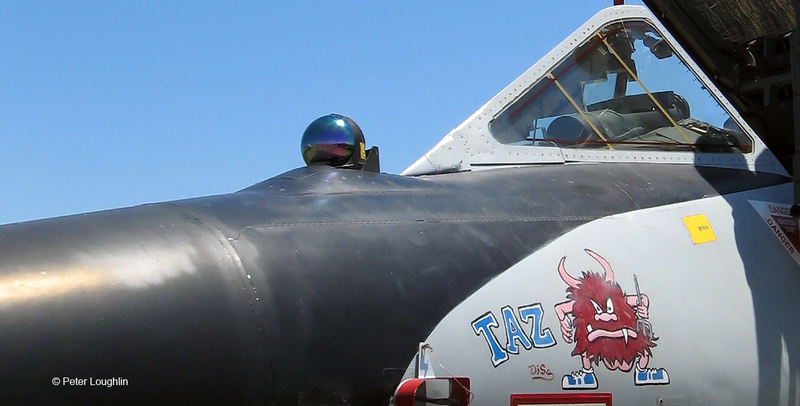 All our members freely donate their time and effort into returning these historic aircraft to their former stature. 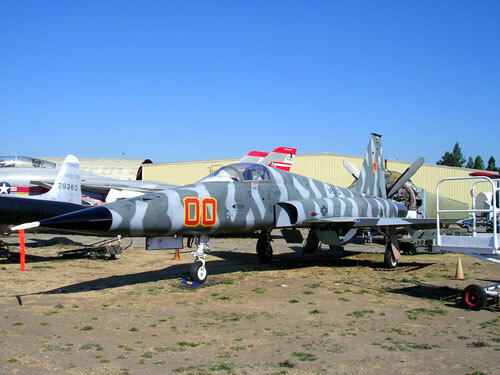 The F-106 is painted to honor Air Force General Jimmy Jumper. In the early 1950’s it became clear that the Interceptor being developed by Convair would not be operational by its 1954 deadline. Faced with this problem, the US Air Force decided to procure from Convair a less sophisticated interim interceptor. 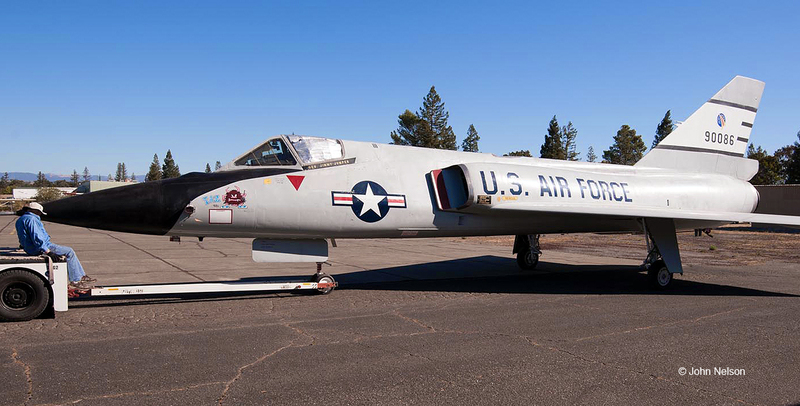 This emerged as the F-102A Delta Dagger and the original project was then designated the F-102B. It is this latter project which eventually became the F-106 Delta Dart. On June 17th 1956, the F-102B was officially designated the F-106, reflecting the fact that the original requirements had changed considerably. 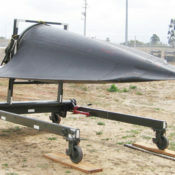 All the requirements for speed, altitude and all-weather capability had been increased. 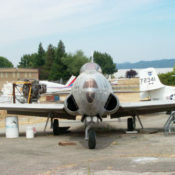 The first prototypes flew in late 56 and early 57. The performance was somewhat disappointing but this was primarily due to the delays in the power plant development and the subsequent substitution. 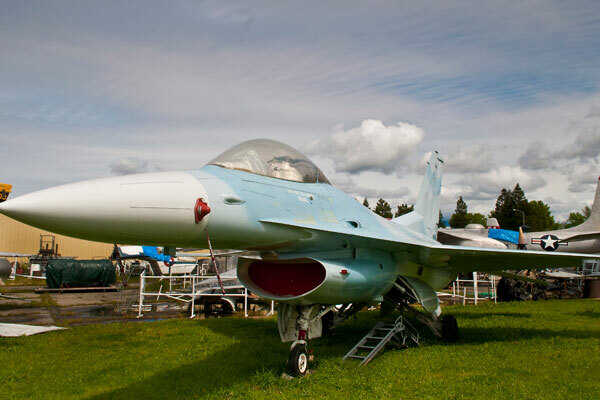 However, continual development and improvements were implemented and ultimately, 277 single seat and 63 dual seat aircraft were built and delivered to the Air Force. The aircraft was the primary air defense weapon for most of the 60’s and was kept in service much longer than the original design called for. 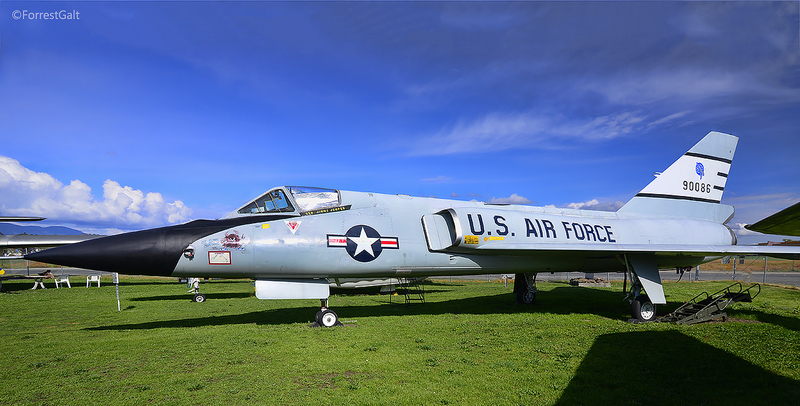 After more than 20 years service with the USAF, the F-106s were finally withdrawn from service in 1988. 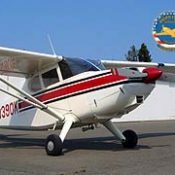 The history of our aircraft if being researched and will be added when available. One 25,500-lb afterburning thrust Pratt & Whitney J75-P-17 turbojet. Disposable: One Douglas AIR-2A Genie or AIR-2B Super Genie rocket, and four Hughes AIM-4F or AIM-4G Super Falcon air-to-air missiles carried in internal weapons bay. Fixed: May have one 20 mm M61 Vulcan gun in place of a Genie missile.